You need the right equipment, including a doggy toothbrush or finger pad and dog toothpaste or tooth gel. Flavors include poultry and peanut butter. You can, at a push, use human toothbrushes for canine dental care, but choose the brush judiciously. Use kiddies’ soft-bristle toothbrushes for small to medium-sized dogs and medium-bristle toothbrushes for larger breeds. Try to use a toothbrush specifically for puppies or you could damage the teeth and gums. Most vets and good pet shops sell quality dog dental care products. Get your dog used to having your hands near her mouth by gently touching her muzzle and feeding her treats. If your dog pulls or turns her head away, start further back around the ears or under the chin. You can work your way up to the muzzle with yummy treats. When your dog is quite comfortable with you touching her mouth you can venture inside. Smear something yummy on your fingers, like peanut butter or liver paste, and let your dog lick your fingers. Do this a few times and then, while your dog is licking, move your fingers around her teeth and gums. If she pulls away, go back to letting her just lick your fingers for a while. Practice touching her teeth and gums with your fingers for a few days before you try move further. 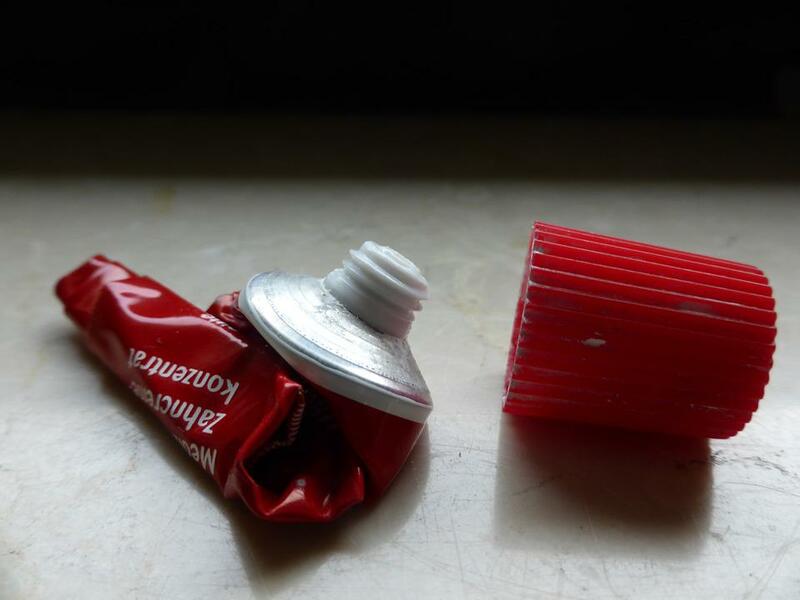 Alternate the yummy paste or peanut butter with the toothpaste you’ve bought. Now you need to get her used to you “manhandling” her mouth. Arm yourself with some delicious high-value treats, like chicken, cheese, tuna fudge or even steak. Find a nice quiet spot to settle down and put one hand under her muzzle and the other over it, as if you were going to open it. Instead, let go of your hands and give her a treat. Repeat several times and practice for a few days. You can progress to lifting her lips and exposing her teeth, releasing and treating. Practice this for a few days. Then increase the time until you can look into your dog’s mouth for 10 – 15 seconds. When she’s comfortable with that try to open her mouth a little and insert your finger before immediately releasing and treating. Again, practice this several times a day for a few days. Gradually increase the time until you can keep your finger inside her mouth long enough to feel her teeth and gums. Now that she’s used to your fiddling around her mouth you can introduce the toothbrush. Spread some toothpaste on the toothbrush and let your dog have a good sniff and a bit of lick so she can feel the bristles. Practice this a few times. When she’s excited by the sight of the toothbrush because it signals yummy things to come, you can lift her muzzle and brush the outside of her front teeth for a few seconds before releasing and giving a treat. Practice this for a few days. Slowly increase the time you spend brushing and equally slowly increase the outer area that you brush. You should always finish off with a treat. When she’s comfortable with that you can start opening her mouth slightly to brush the inside of her teeth. Again, start with a few seconds at first, practice and progress at a pace your dog is happy with. Eventually you’ll be able to hold your dog’s mouth and brush all her teeth for up to three minutes at a time. Generally. dogs develop dental problems when they’re about five years old. You shouldn’t wait until then to start brushing your dog’s teeth, however. Start brushing your dog’s teeth when they’re still puppies and prevent problems before they start. Ideally, you should brush your dog’s teeth once a day, but 2 – 3 times per week will suffice. Brushing dogs’ teeth isn’t the only way to keep them clean. There are several dental toys and treats on the market that are designed to keep your dog’s teeth clean, healthy and plaque-free. Kong, for example, make interactive chew toys that engage dogs’ brains and clean their teeth. Include a dental check in your dog’s annual check-up. Many pet insurance products offer dental cover, which can include accident and illness or accident and injury cover. In between check-ups, however, you should regularly check your dog for bleeding and swollen gums, broken teeth, sores and ulcers and bad breath. Note that there is a difference between bad breath and doggy breath. Bad breath, the kind that burns your nostril hairs, could indicate periodontal disease. Periodontal disease can lead to bacterial infections which can affect the kidneys, liver, heart and brain. So, not only is good dental hygiene essential for your dog’s healthy teeth, but it’s essential for her overall health too.